The Cuisinart Stockpot With Cover is ideal for whipping up big batches of stock, soup, and dinners in style. This is elegantly designed and generously sized to create savory soups, sauces and stocks. It's classic look is great for any kitchen. 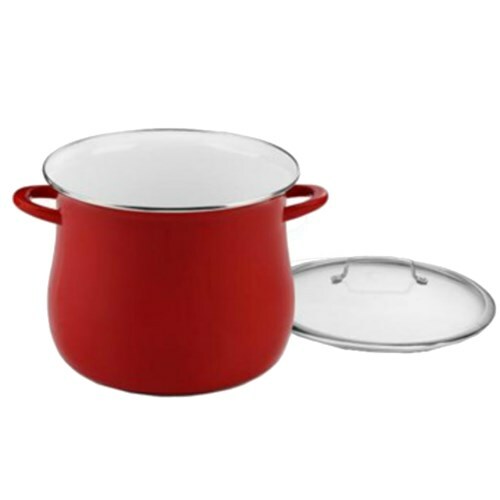 The Cuisinart 12 quart Stockpot with Cover - Red has many exciting features for users of all types. See the Cuisinart 12 quart Stockpot with Cover - Red gallery images above for more product views. 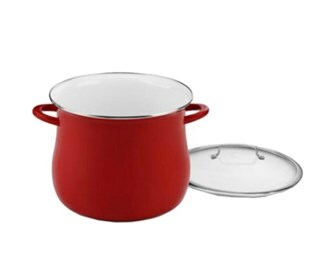 The Cuisinart 12 quart Stockpot with Cover - Red is sold as a Brand New Unopened Item.